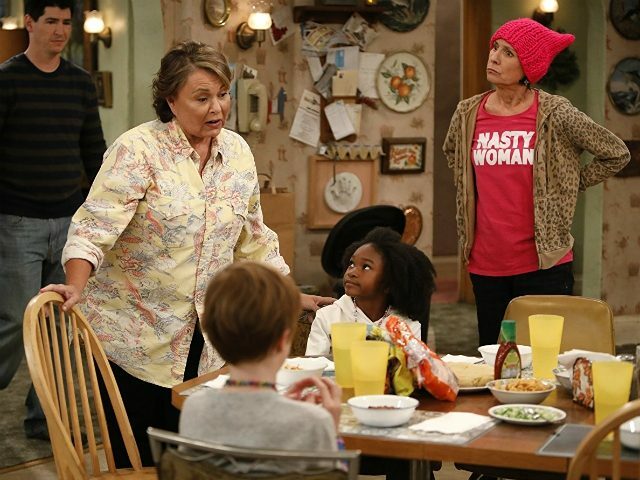 Actress Roseanne Barr explained to a packed audience at the Jerusalem Post Conference on Sunday that her iconic character on Roseanne supports President Donald Trump because she wanted to “be true” to the working class voters who elected him. The ABC revival of the celebrated 80s Conner family comedy has been a ratings mega-hit, topping all of its primetime competition in the month of March. Barr also revealed that she called to personally thank President Trump for his decision to move the U.S. embassy in Israel to Jerusalem. “I think it’s the first step to peace in the world, I really do,” Barr added.